These are awesome! 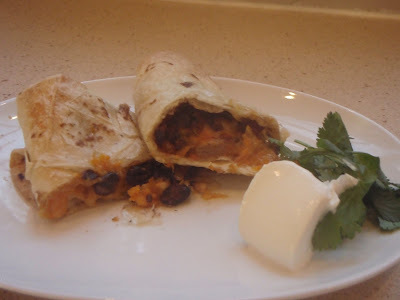 I have added some chipotle in adobo to this recipe. 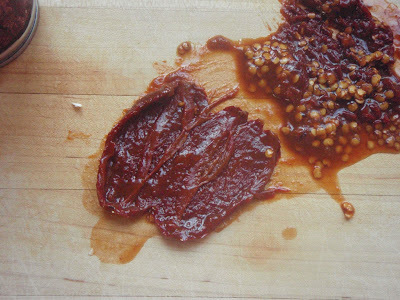 It doesn't make it spicy but it does add a subtle wonderful flavor and some heat to the dish. 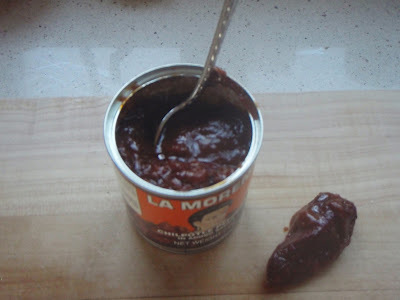 You could leave out the chipotle in adobo if you like. My husband loves it when I add it into this dish. 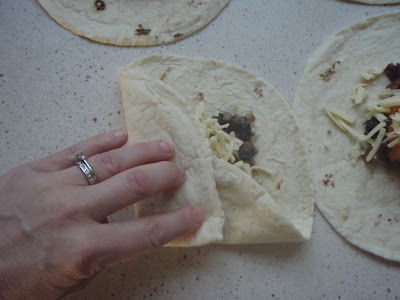 My kids love the crispy texture of the burritos. I do too! Preheat oven to 400 degrees. Prick the potatoes with a knife in several places and bake on a baking sheet until very tender, about 1 hour. Meanwhile, heat 2 tablespoons vegetable oil in a large skillet over medium heat. 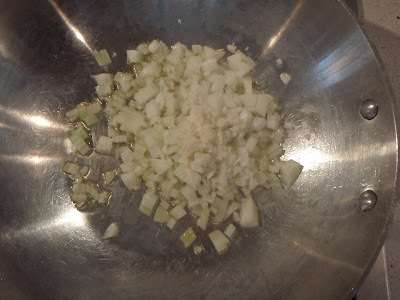 Add the onion and cook, stirring often, until softened, about 5 minutes. 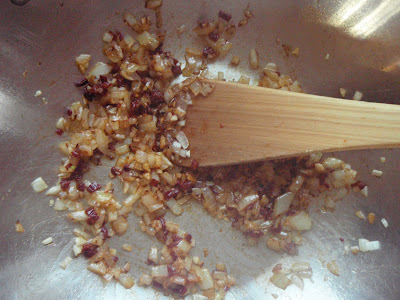 Add the garlic and cook for 1 minute. 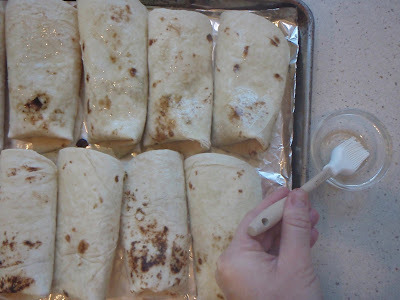 Add the cumin, chili powder (and minced chipotle and adobo sauce, if using) and cook for a minute more. 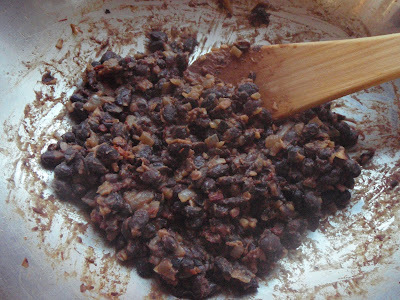 Add the beans and water, cover, and cook until beans are very soft and flavors have blended, about 5-10 minutes. 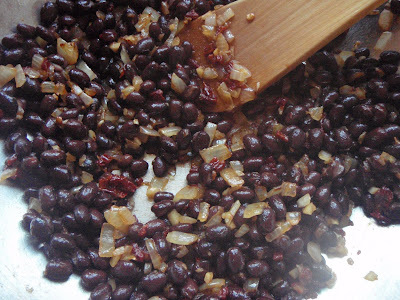 Use a fork or potato masher to coarsely mash the beans. Season with salt and pepper. You should have about 1 ½ cups. Remove potatoes from the oven and cool. 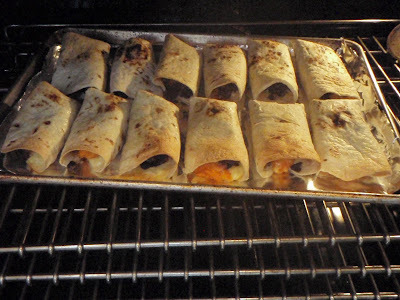 (keep oven at same temp.) Cut potatoes in half and scoop out the flesh. Discard the skins. 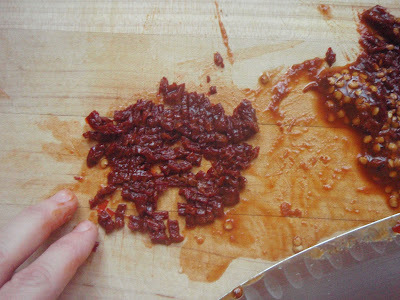 Place the flesh in a small bowl with 2 tablespoon unsalted butter and use a fork to mash coarse. Season with salt. You should have 1 ½ to 2 cups. 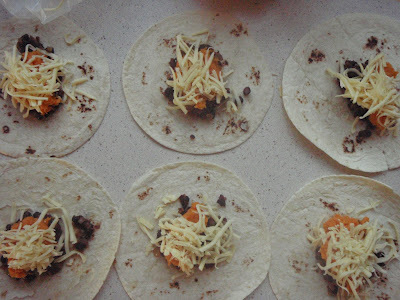 Spread the tortillas with roughly equal amounts of the black bean mixture. 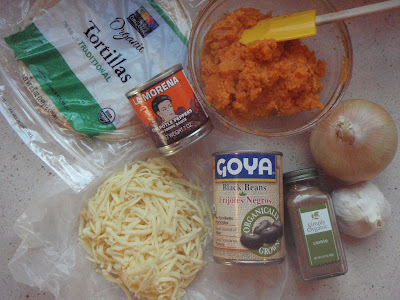 Top with equal amounts of the potato puree. 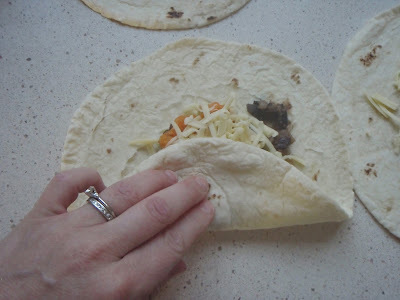 Sprinkle on equal amounts of cheese. 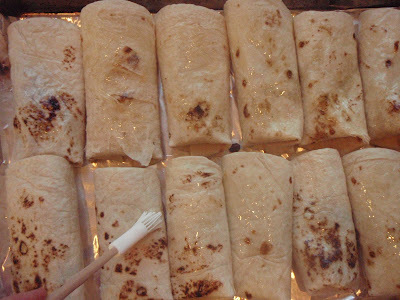 Roll the tortillas into cylinders and arrange, seam side down, on a baking sheet. 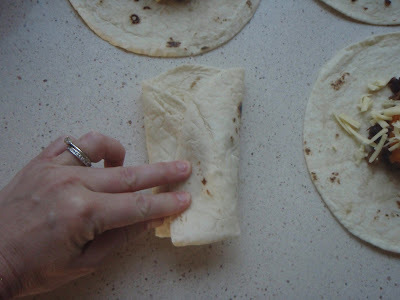 Brush the tops with vegetable oil. 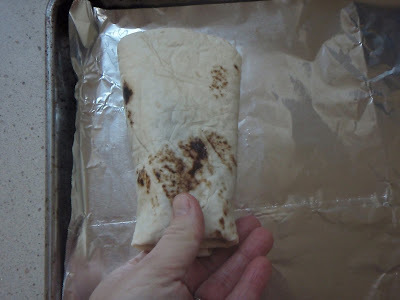 Place in a baking sheet or pan large enough to hold the burritos in one flat layer. 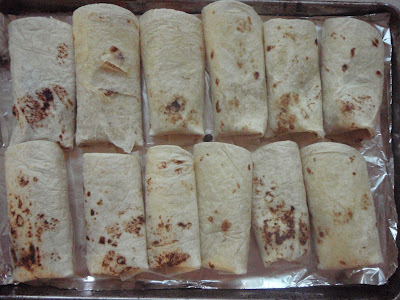 For a soft burrito, cover with foil and bake until warmed through, about 20 minutes. 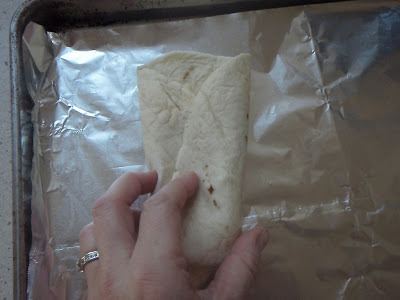 Bake uncovered for a crisper burrito.